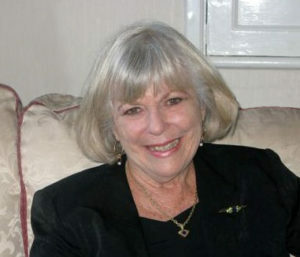 Gail Nattrass was born in 1943 in Northern Rhodesia. She was educated at Mufulira High School and the universities of Natal, Rhodesia and Nyasaland, and UNISA. 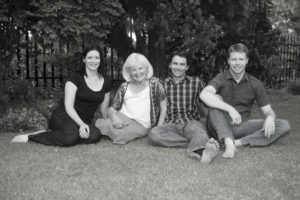 She re-located to South Africa with her husband in 1967, and subsequently lectured in the history department at the School of Education, University of the Witwatersrand, Johannesburg for 20 years. 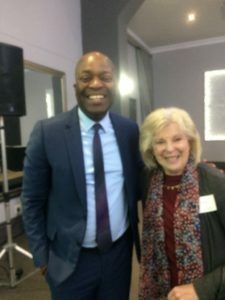 She has written materials for students and presented papers on various aspects of South African and international history at four universities in South Africa. She is also the author of The Rooiberg Story, published by the mining house, Gold Fields in 1983, the co-editor with S B Spies of Jan Smuts: Memoirs of the Boer War, published by Jonathan Ball in 1994, and a contributor to They Shaped Our Century, published by Human and Rousseau in 1999 and Leaders of the Anglo-Boer War 1899-1902, published by Ravan Press in 2001. 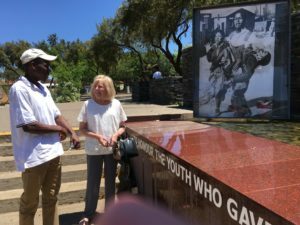 Pictures to the left include: Gail Nattrass with Khulekani Sibanda at the Hector Pieterson Museum in Soweto; Gail Nattrass with leading political commentator and author, Justice Malala; and Gail Nattrass with her three children at home. A Short History Of South Africa by Gail Nattrass, is available at select book stores in South Africa and England. You can also find it online at sites such as Amazon, Loot, Exclusive Books, and Takealot.